The bodies of more than 1,000 victims of the 1995 Srebrenica massacre have been exhumed from the largest mass grave found to date in Bosnia-Herzegovina, forensic experts said Thursday. Experts began digging in June near the eastern Bosnian village of Kamenica, close to the border with Serbia, where they have found eight other mass graves. The team has exhumed 144 complete and 1,009 partial skeletons. "This is the largest mass grave so far found," said Murat Hurtic, head of the forensics team. Along with the remains, experts found 14 documents indicating the victims were killed in the Srebrenica massacre, which became the site of Europe's worst mass execution since the Second World War when Serb troops in 1995 overran the eastern Bosnian enclave of Srebrenica, which the United Nations had declared a safe zone. As many as 8,000 Muslim men and boys were slain. The excavation team said it found bullets mixed with body parts, and plastic and cloth bindings around the victims' arms. The remains were heavily damaged, a typical feature of "secondary" mass graves to which victims' bodies are moved from an original burial site in an attempt to hide a crime, experts said. Much of the moving in this case was done with bulldozers, which complicates the identification process because parts of the same body can be found in two or even three different mass graves, experts said. Forensic teams have been uncovering mass graves throughout Bosnia in recent years, collecting the remains and extracting DNA to be matched with family members. Once a match is found, the body is returned to the family for burial. Of the 3,500 bodies of Srebrenica victims excavated so far, 2,500 have been identified through DNA and some 2,000 buried in a cemetery in the Srebrenica suburb of Potocari, where the victims last were seen alive before being rounded up by Serb soldiers and taken for execution. Witness played dead while those around him were executed. The trial of seven Bosnian Serb military and police officers continued this week with the testimony of a survivor of the Srebrenica massacre who described in gripping detail the horrors he suffered after the enclave was overrun by Serb forces in July 1995. Ahmo Hasic "believed to be one of only 12 men who survived the slaughter of 8,000 Bosniak men and boys" told the judges he stayed alive only by playing dead after Serb soldiers started shooting. The trial chamber heard a similar testimony last week from Mevludin Oric who described how he lay under a pile of dead bodies for several hours. On trial are Ljubisa Beara, Vujadin Popovic, Ljubomir Borovcanin, Vinko Pandurevic and Drago Nikolic, who face genocide and war crimes charges. Radivoj Miletic and Milan Gvero are charged with war crimes and crimes against humanity. Hasic, 70, is not new to the court. In 2001, he testified at the trial of Bosnian Serb general Radislav Krstic, currently serving a 35-year prison sentence in Britain after being found guilty of aiding and abetting genocide. In 2003, Hasic was also a prosecution witness at the trial of Bosnian Serb military officers Vidoje Blagojevic and Dragan Jokic. They were sentenced to 18 and 19 years respectively for their role in the massacre. Last week, as he had done previously, Hasic told the judges that on July 13 he was separated from his family in Potocari and taken to the nearby Serb-held town of Bratunac, where he and hundreds of other Bosniaks were detained in the Vuk Karadzic elementary school. But the true horror began on July 16, when the prisoners were taken to the nearby Branjevo farm. According to the indictment against the seven, it was at Branjevo that approximately 1,200 Bosnian Muslim males were summarily executed by automatic gunfire from members of the 10th Sabotage Detachment, the Bratunac Brigade and others. Hasic's two sons and two brothers died in Srebrenica. Last year he reburied one of his sons after his remains were excavated from a mass grave near Srebrenica. He still hasn't found his other son. As he got off the bus, Hasic saw an entire field covered with dead bodies. Serb soldiers then lined up the prisoners from Hasic's group and the mass execution began. "I fell down before I was shot," he said. "The bullets whizzed past me." While lying on the ground he saw more buses filled with Muslim detainees arriving, most of whom suffered the same fate. "The buses were unloaded, and the prisoners were lined up and then executed," said Hasic. Hasic lay under a pile of dead bodies for hours as Bosnian Serb soldiers walked around the field looking for survivors. "One man who was lying not very far from me said, 'I'm alive'. The other one said, 'I'm wounded, come and finish me off'. Serb soldiers then shot them both dead," he said. He continued, "I knew I didn't have much time, because the Serbs would come back with trucks and bulldozers to remove all those bodies. So I waited until dusk, and crawled through the layers of dead bodies to the bushes at the edge of the field." There he found four other survivors. They all stayed hidden until dark, looking at the grisly scene in front of them. "There were between 1,000 and 1,500 bodies lying on the ground. They were all dead," Hasic told the court. The five slipped away into the forest after nightfall, but Hasic's journey was far from over. The oldest man in the group, he was outpaced and soon got left behind and walked all night in the darkness, thirsty and exhausted. In the morning, he found an asphalted road, but just as he began crossing, he saw a truck coming along it. "It was a Serb truck, full of dead bodies," he said. He believes the bodies were being taken from the execution site to a mass grave. "The driver told me to stop, but I kept on walking," he said. "He probably thought I was a Serb too, so he let me go." Hasic spent another 10 days wandering the hills around Srebrenica, and was captured by the Bosnian Serb military again. He was transferred to the camp in Batkovic, under the watchful eye of the Red Cross, and released five months later. Witnesses at the trial of 11 Bosnian Serbs accused of killing Bosniak men and boys during the Srebrenica massacre offered the Bosnian war crimes court only limited first-hand recollections of the events of July 1995 when they appeared in court last week. The case, which began on May 9 and is still in the prosecution phase, is the first and only genocide trial being heard by the Bosnian national war crimes court in Sarajevo. Dragisa Zivanovic, Petar Mitrovic and Branislav Medan took part in killing more than 1,000 Muslims in a warehouse at Kravice, near Srebrenica, on July 13. The defendants are also accused of being part of a joint criminal enterprise aimed at forcibly evicting women and children from the Srebrenica enclave after it was overrun by Serb forces in summer 1995. In February this year, they pleaded not guilty to all the charges against them. The three Bosnian Serbs brought as prosecution witnesses last week were there because they had been served with subpoenas. 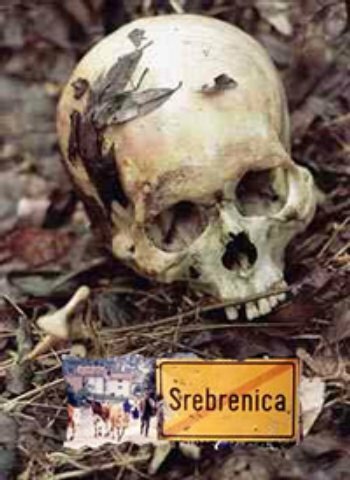 They were serving in Serb police and army units and were in the vicinity of Srebrenica when the killings took place. In court, two denied they knew what was going on, while a third said he heard gunshots and was told prisoners had been killed. 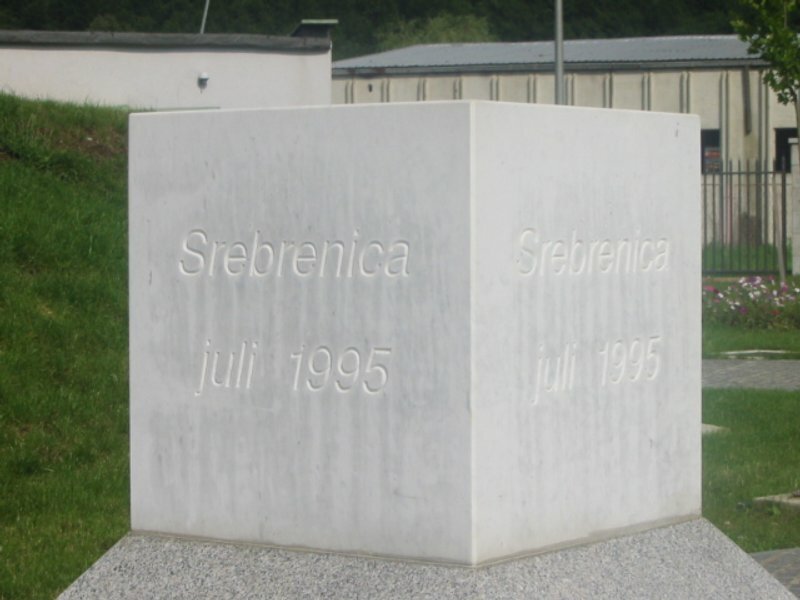 As has often been the case during this trial, the witnesses' evidence in court differed considerably from statements they gave to Bosnian investigators. One, Stanislav Vukajlovic, told the judges that the discrepancies were the result of pressure put on him when he was first questioned by investigators. He said one had been "very rude" and had threatened him with prison if he did not cooperate. Vukajlovic was a soldier in the Bosnian Serb army, VRS, at the time of the events in question. He told the court that in March 1995, he deserted the army and fled to Serbia but was arrested there and deported back to Republika Srpska shortly before the massacre. He testified that his unit was deployed in the Bratunac area around July 12, but that he "didn't see anything suspicious" over the next couple of days. Witness Milos Vukovic, a former member of the Sekovici Special Police, was a truck driver stationed in Bratunac at the time of the massacre. He too said he had "no knowledge about the events in Srebrenica and Kravice". He confirmed only that he saw a large number of buses and trucks carrying women and children from Srebrenica to the Bosnian Government-held town of Tuzla. He said a superior officer told him that "it wasn't a good thing to shoot all those prisoners".